Charlene Zoerb, an NJSBA field service representative and longtime community volunteer who strived every day to “make a difference” for children, died Sunday after a courageous battle with cancer. An NJSBA staff member since 2008, Charlene was the field service representative serving boards in Atlantic, Cape May and Cumberland counties. She also served two districts in Ocean County, Little Egg Harbor Township and Pinelands Regional; as well as two in Gloucester County, East Greenwich and Kingsway. With an educational background in social work, Charlene developed an interest in public education through parent and community involvement. As the vice president and president of her community Mother’s Club and local PTA, she served on many school committees and the district board of education as the parent representative. After eight years of community service, she was appointed and then elected as a member of the Upper Township Board of Education. 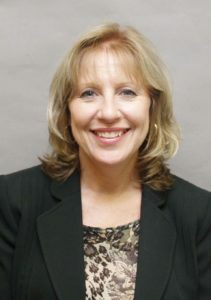 A Certificated School Board Member through the NJSBA Board Member Academy, she served on the Upper Township board for ten years including service as the sending-district representative to the Ocean City Board of Education for six years. Throughout her term as a school board member, she served as president and vice president and chaired many committees. Prior to joining NJSBA in June 2008, she worked for the New Jersey Department of Education as a school culture/community and parent involvement specialist on the southern region Collaborative Assessment for Planning and Achievement team. At NJSBA, she served as a consultant in the development of the Association’s current strategic plan, mentored new field service representatives, and was often called upon to assist other FSRs in working with a school board that was experiencing challenges of any kind. Charlene Zoerb is survived by her husband, Larry, and two children, Jonathan and Carolyn. The funeral service will take place on Friday, June 17 at 11 a.m., at St. Joseph Roman Catholic Church, 606 Shore Road, Somers Point. Calling hours are scheduled at the church from 10 a.m. to 11 a.m. on Friday. The family asks that, in lieu of flowers, tax-deductible donations be made to the Ocean City Education Foundation, c/o Charlene Zoerb Memorial Scholarship, Ocean City Board of Education, 501 Atlantic Avenue, Suite 1, Ocean City, N.J. 08226. 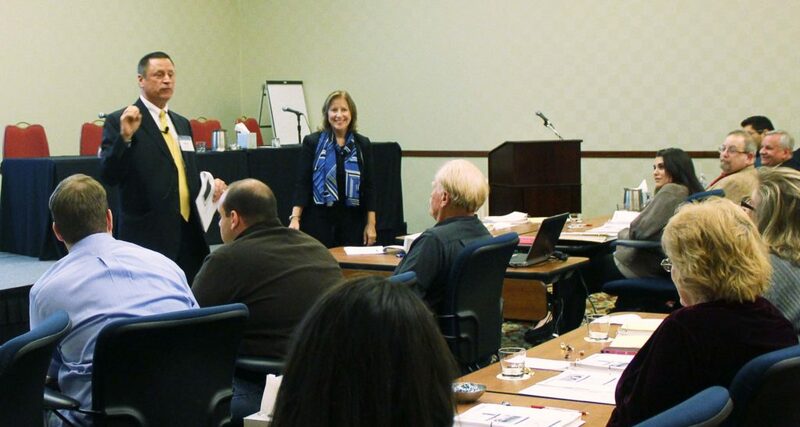 In early 2013, Charlene Zoerb and Mike Kaelber, NJSBA director of legal and labor relations services, jointly presented a program on ethics at the newly reinstituted Weekend New Board Member Orientation program.